We are now able to offer our clients an opportunity to continue cold laser therapy on their pet at home. The battery-powered TQ Solo, which comes in a kit that includes instructions and a treatment-tracking form, is designed for pain relief and healing. No goggles are needed because of the laser’s super-pulse technology. As an example: Getting a series of treatments for painful senior dog conditions, like osteoarthritis, is inconvenient to owners and stressful for pets, especially cats. Once you have visited your veterinarian and recieved a diagnosis, a treatment protocol can be developed for compliance in the comfort of your home. 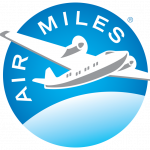 We’re proud to accept Air Miles! © 2019 Carnegy Animal Hospital | Veterinarian in Halifax, Nova Scotia.